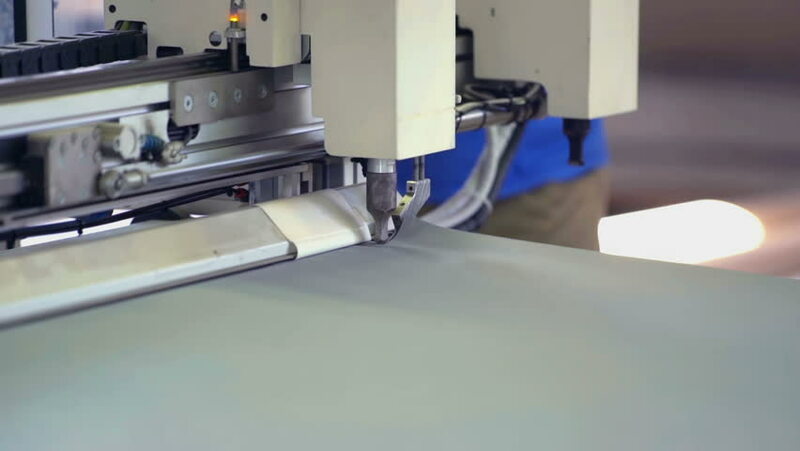 Machine in a factory is slowly cutting grey fabric into two separate pieces. Close-up shot. 4k00:06Workshop workers use industrial wood saw machine to cut plywood panels. Furniture production process. 4k00:09Carpenter worker operating wood cutting machine. CNC woodworking wood processing machine, modern technology in the industry. 4k00:09Workshop workers use industrial wood saw machine to cut plywood panels. Furniture production process.